Closing the sale and getting the Purchase Order no longer go hand in hand. In many buying organizations a new level of bureaucracy and administration has grown around what was once just an administrative formality. Getting the PO is no longer a straight-forward matter – for the unprepared seller can be a costly maze. It may have taken many months to be chosen as the preferred supplier – lots of meetings, presentations and then the proposal documentation. Typically this is followed by negotiation around price, often involving some difficult compromises and trade-offs. 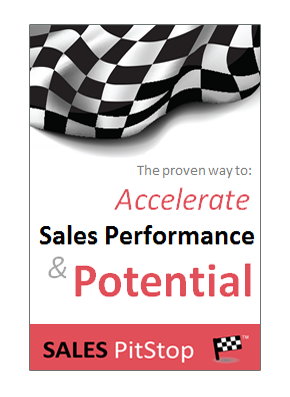 At the end of it all there is a sense of relief (and perhaps even joy) on the part of the salesperson. However, it can be short lived. As sellers we make the assumption that the Purchase Order will promptly appear now that ‘the deal has been done’. This however is not always the case. Getting Mixed Signals From The Buyer? The seller has put the sale into his, or her forecast, perhaps even production or delivery schedules, confident that all will proceed as discussed. However, the buying organization is sending mixed signals. While the executive sponsor or manager buyer says he, or she wants things to happen straight away, a set of surprise obstacles are being put in the way. The purchase appears to have entered a maze. The problem is that these events are becoming increasingly common, especially in selling to large organizations. 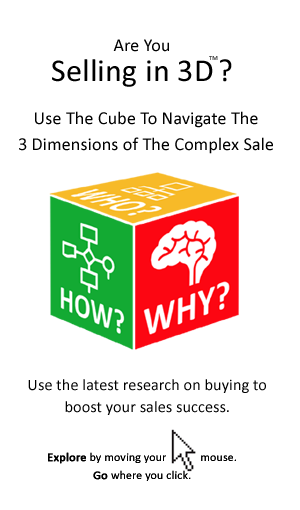 The implication for sellers is that they need to be planned for. As sellers we need to avoid being taken by surprise and to better manage the cost and other implications that can result. You are left waiting on the PO and cannot raise an invoice until it has been generated. Production time, staff or other resource may have been allocated based on an agreed delivery schedule, which is now ‘up-in-the-air’. Even if the resources can be re-allocated elsewhere the revenue that has been forecasted won’t now happen as planned. The customer comes back to the seller asking for a change in the invoice details, perhaps the date on the invoice needs to change, or the department to which it is issued. The clock is ticking in terms of days of credit from the issue of your first invoice, however this may be irrelevant as far as the customer is concerned. Every day lost by a request to re-issue an invoice can be another day of credit for the customer. The customer needs to register you as a new supplier with procurement. This means that a few pages need to be completed, including the justification for adding your company when there are suppliers for your product already on the list. In some organizations the manager may be required to remove an old supplier, if a new supplier is to be added. In most cases your invoice cannot be processed before you are set up as a supplier on the customers system. The PO can be an obstacle against which negotiated agreements between seller and manager-buyer can become unstuck. This happens where the manager – buyer has made commitments that he, or she cannot deliver upon. The result is that a hard won concession in the negotiations, such as agreeing on a 45 day instead of their ‘standard’ 60 days in return from an additional discount, are quickly set to naught by procurement or finance. Any concessions lost in this way have an impact on the supplier’s margins. Who bears the implications of any of the above delays is a real test of the balance of power between buyer and seller. It is also a test of the power of the buyer manager, compared to the power of procurement. At a minimum the PO maze can generate several hours of admin work for the seller. It is also likely to result in delays to payment. How the seller prepares for these scenarios is important. Does Your Sponsor Know Their Process? PO related delays post-closing the sale tend to come as a surprise to sellers. More worrying still they often come as a surprise for the manager-buyers with whom the seller has struck the deal. ‘I am amazed at the number of managers who don’t know their own internal procurement procedures!’ exclaimed one sales manager recently. He was expressing a frustration being felt by many sellers. ‘Putting a labyrinth of procedures between the decision to buy and the issuing of the necessary paperwork can in many cases add an extra 4 weeks to the buying process. If an organization did this for all its purchases then it would effectively cut spending by almost 10% across the year’. Regardless of whether you are cynical of the motivation behind PO procedures and delays, the seller has to be prepared.